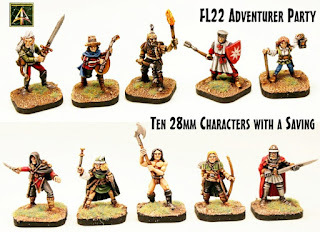 Alternative Armies: 28mm Adventurer Packs and Set last fantasy releases for 2016! 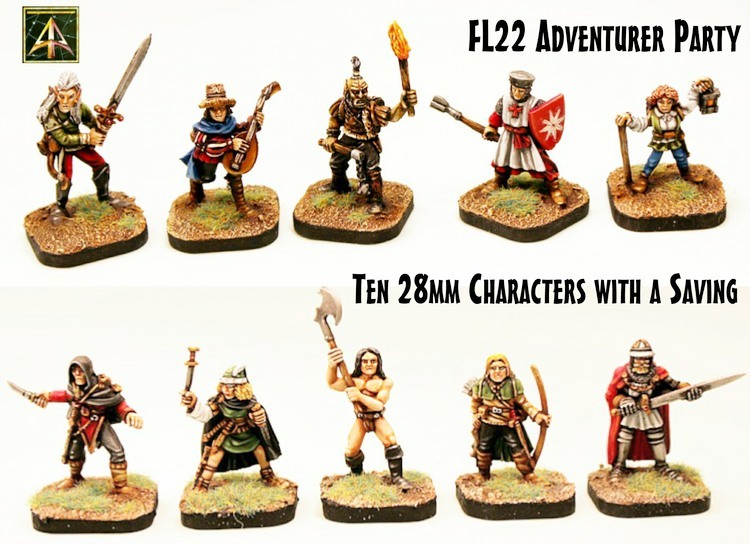 28mm Adventurer Packs and Set last fantasy releases for 2016! 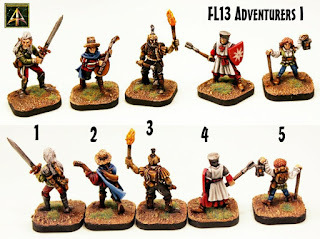 In the Fell Lords (FL) codes there is a group of miniatures which are jewels amid a crown. 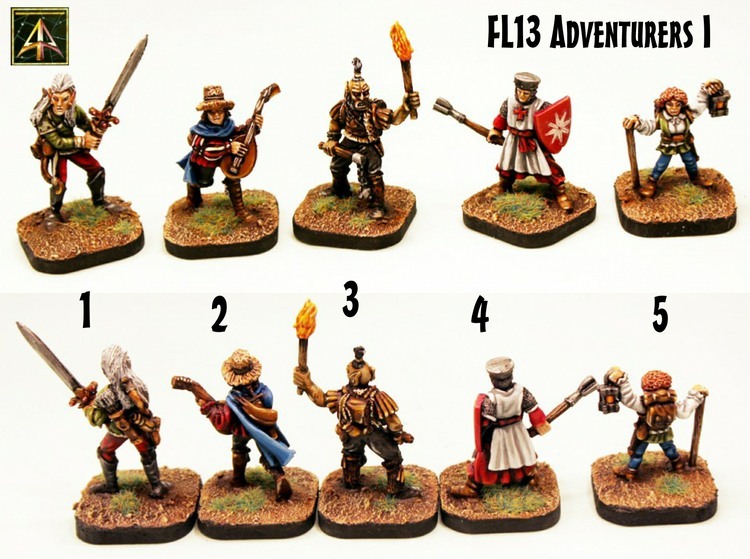 For Dungeon Crawl, for Roleplay and for 28mm Fantasy wargaming the Adventurers of the FL13 and FL14 packs plus now the party pack of all ten poses with a saving as FL22. 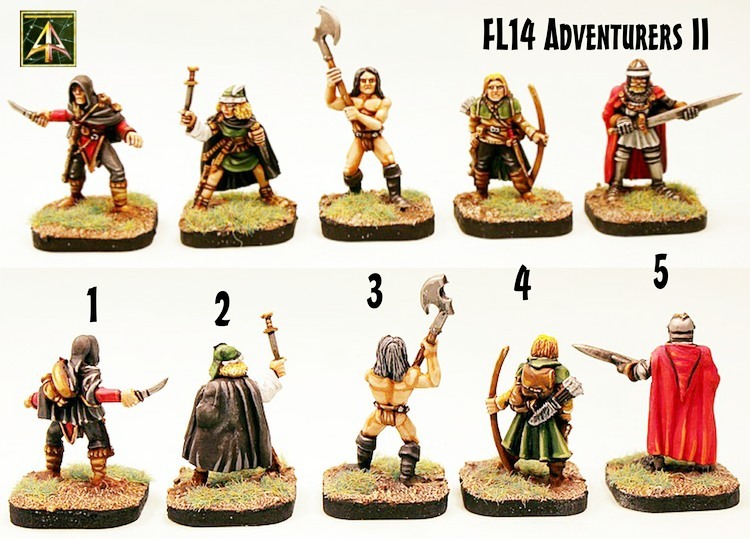 Now on our website and our last fantasy release for the year. These classic miniatures are in collections all over the world and now can once again be in your collection and on your painting table. Go HERE or read on. Save 15% off the prices of single miniatures from the codes which now follow. 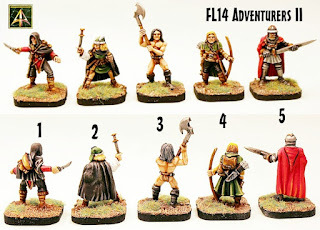 We have many packs in the Adventurers and Wizards page of the website which are great for any setting. 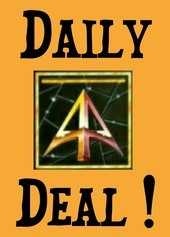 Also check out our Daily Deal where every day a different fantasy pack is put up at 15% off the pack and singles and 25% off three packs at once!